What You'll Need: scriptures, working flashlight with batteries, GAK 208: John the Baptist Baptizing Jesus, GAK 407: John the Baptist Conferring the Aaronic Priesthood, GAK 408/GAB 94:Melchizedek Priesthood Restoration, GAK 602/GAB 105:The Gift of the Holy Ghost, printed Bitty Books, scissors, staples, coloring tools, and pen/pencil. Have a child try to turn the flashlight on. When it doesn't come on, examine it and eventually find out that there are no batteries. - The flashlight isn't working because it needs power. Produce the batteries. Place them in the flashlight and have a child turn it on. Explain that now that the flashlight has power, we can use it guide and protect us. Heavenly Father has great power. He wants to use it to guide and protect us, to show us the way and to make our lives better. 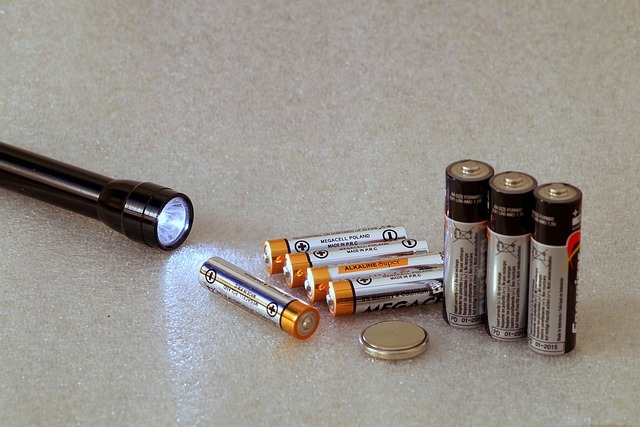 The batteries in this flashlight are like the power of God. They are like his power. But we also need a flashlight, something he can give his power to to use for good. The power of God is called the PRIESTHOOD. Heavenly Father and Jesus Christ give the priesthood to worthy men in the Church. When these men are directed by Heavenly Father, they can use the priesthood to help us and bless us. The Priesthood is a power that can only be used to help others and make them happy. John the Baptist had the Priesthood. That is why Jesus went to him to be baptized. 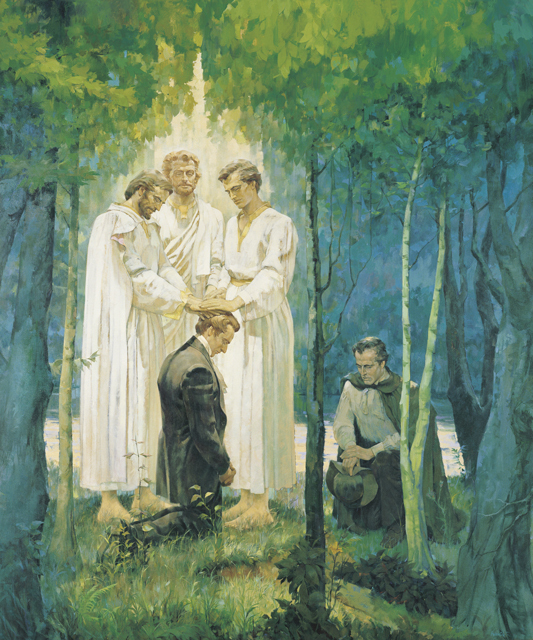 When the Church of Jesus Christ was being restored on the earth by Joseph Smith, the same John the Baptist gave Joseph Smith and Oliver Cowdry the Priesthood Power. 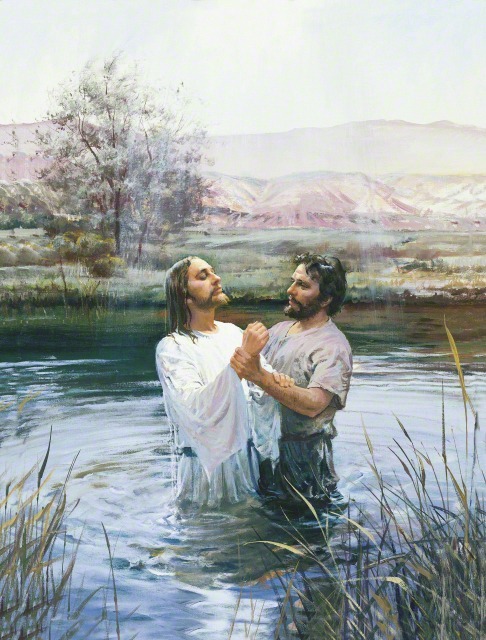 Once the Aronic Priesthood was restored, Joseph Smith and other church leaders had the power and authority to baptize members into the newly restore CHurch of Jesus Christ of Latter-day Saints. 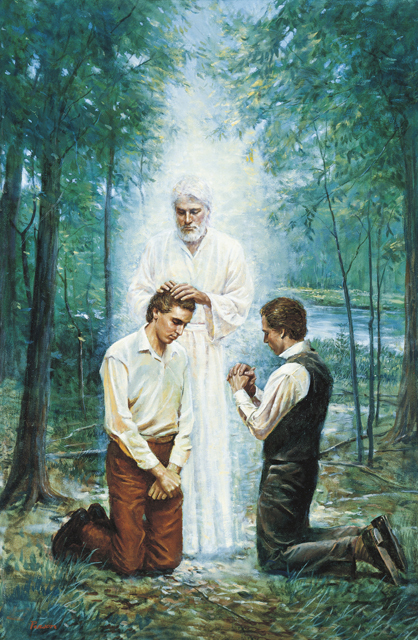 The Melchizedek Priesthood was also restored to Joseph Smith. With the Priesthood worthy men can use it to do many great things. Baptized and Confirm, heal the sick, marry families for eternity in the Temple, give special father's blessings, blessing a baby, blessing the sacrament and many other great things. Susanne was getting ready for the first day of school. She had been excited about beginning school, but now that the first day had finally come she was frightened. Susanne was quiet all morning. Her mother had made her favorite breakfast, but Susanne did not smile when she saw it. She tried to eat, but she could not. Susanne told her mother that she felt sick. Her mother felt her head to see if she had a fever. She looked in her throat, but it was not red. Susanne’s mother asked her where she felt sick. Susanne said she just felt funny inside. Susanne’s father said she probably felt funny inside because it was the first day of school. She was a little frightened because she would be away from home all day and didn’t know what to expect. Susanne’s father explained that he had the same feeling when he started his new job. Susanne’s father offered to give her a blessing before she went to school. The blessing would help take away the frightened, funny feeling Susanne had. Susanne’s father placed his hands on her head and gave her a special blessing. When Susanne came home that afternoon, she was happy. She told her mother that she liked school and her teacher was nice. Susanne was glad her father gave her a special blessing to help her feel better at school. This kind of blessing is often called a father’s blessing. If our fathers are not able to give us blessings, we can ask other men who hold the Melchizedek Priesthood, such as our home teachers, other family members, or the bishop or branch president, to give us blessings when we need them. The Priesthood is a wonderful gift from God and one that can bless the lives of everyone. Bear your testimony about the Priesthood. 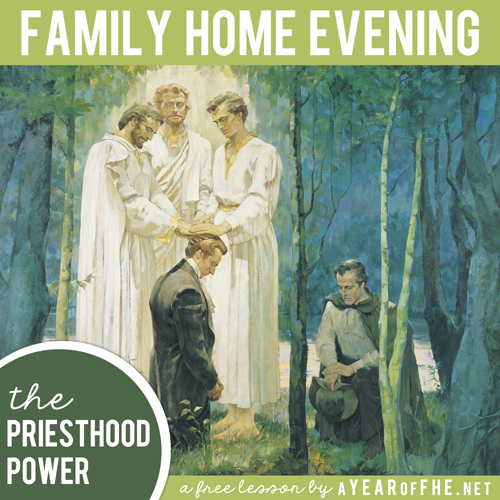 Share an experience when the priesthood enriched your life and/or showed you the way to go. Bear testimony that the Priesthood is restored within the LDS church. - Have children color mini pages. - Staple along left hand side to create Bitty Book. Thank you for all the wonderful FHE lessons. My family and I love them. Thank you for sharing your talent with us all! I love this blog and I very much appreciate all the hard work you put forth each week. You are so talented and truly a time saver! Keep up the good work. Thanks for another great lesson! My little boy is somewhat obsessed with flashlights so this was a great hit! We did this one this week and the kids seemed to enjoy it. Thank you for the time you spend putting these together. They are a lifesaver for us! Just found your site and I love it! My son asked to learn about the priesthood tonight, so this will be perfect! Love the little book for my kids to do. My three year old will love it! Just had to tell you thank you so much for your blog! 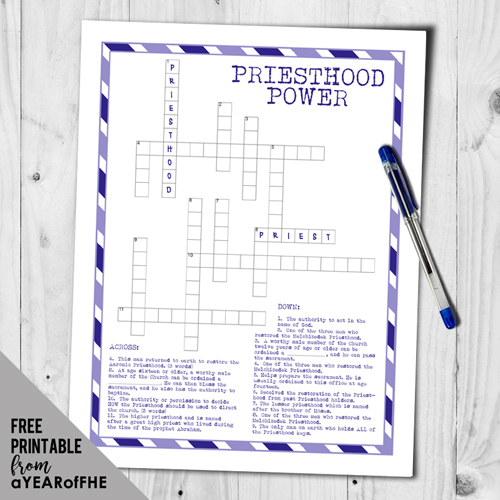 I'm using the book about the priesthood for my primary lesson tomorrow, but am using your site for FHE lessons, too! It is wonderful. Thank you! This lesson was perfect for my son that is turning 12 soon. Thanks!! Thank you for having everyhting prepared for FHE. This is great for my 10 yr old who wants to do the lesson all by himself. Thank you for this great lesson! I often refer to your lessons when I have a particular topic in mind and just need a quick lesson that is already put together and perfect for my kids (ages 3-11). 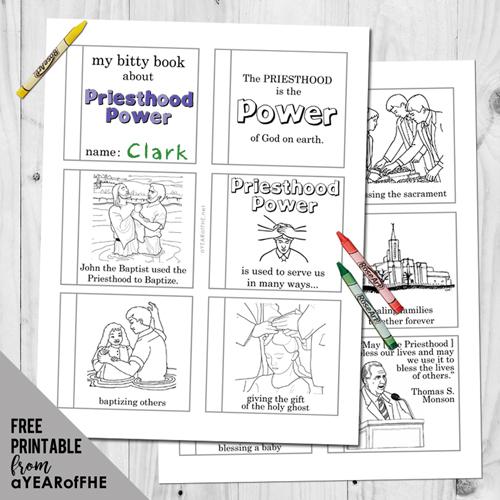 I just got a copy of my husband's priesthood line of authority and wanted to show it to my kids in conjunction with an FHE lesson the priesthood this lesson is perfect!